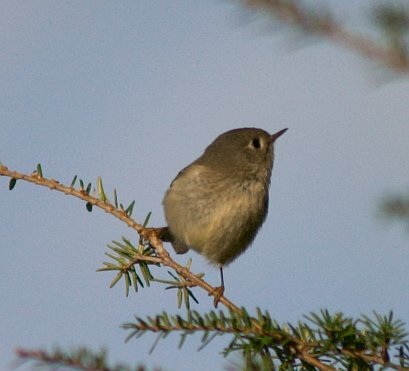 It has been challenging for me to get pictures of little song birds that like to flit about in the bushes. They do not stay in one place long enough to get them in focus. This one was kind enough to stay in the open on a branch for a couple of seconds and since I had been watching it, I was prepared.